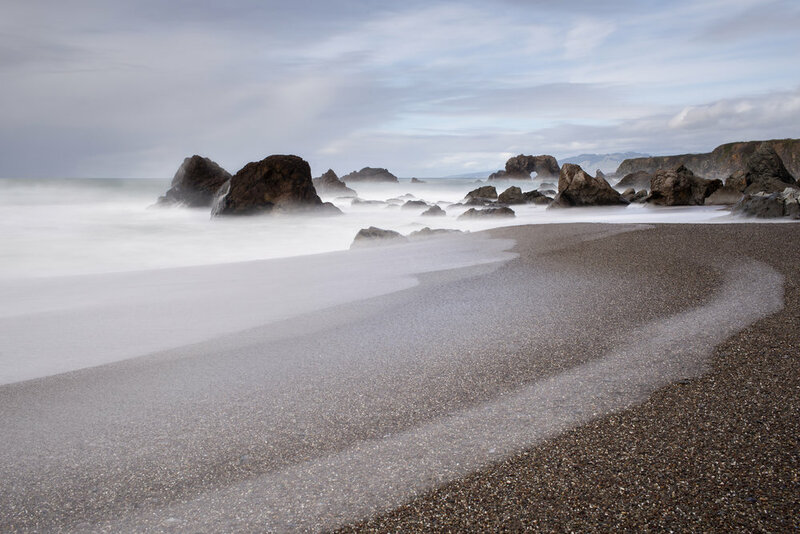 After a weekend in wine country we decided to take a drive back via the Sonoma coast. 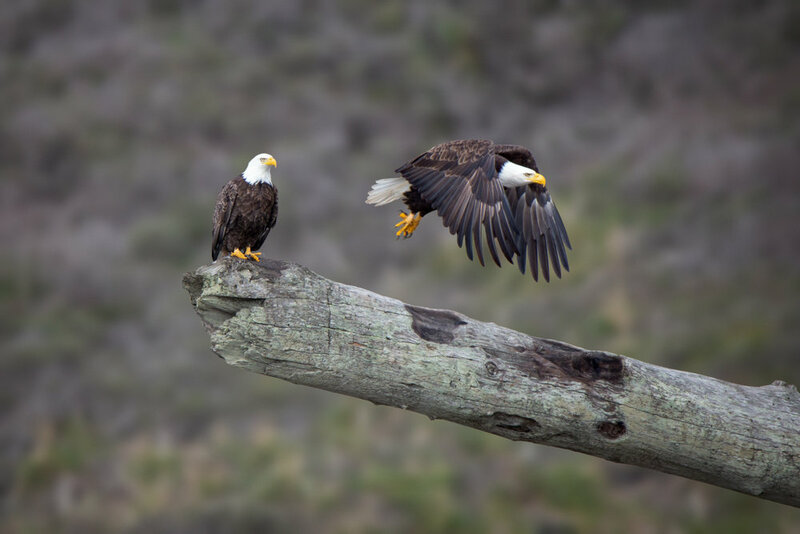 I remembered that there were sometimes bald eagles by the Russian River in Jenner, so we swung by to see. There were a couple down by the harbor seals, but they were too far away to get a decent shot. When they flew up to an old fallen tree on the beach I realized if I was quick in getting round to Goat Rock Beach I might catch them from the other side. I crept along the beach until I was close enough to get a shot. Just as I arrived, and with a break in the rain, they took off, but I managed one sharp shot at that exact moment. Some days you just get lucky.